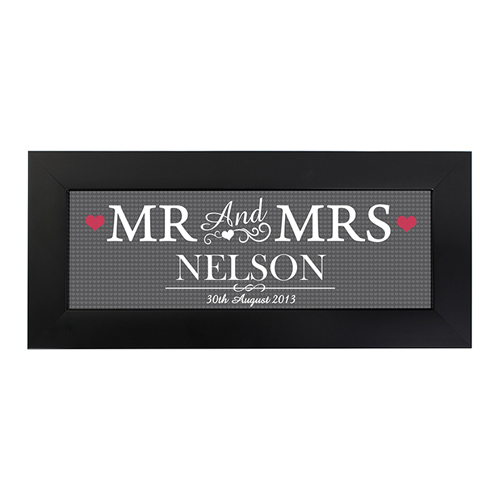 Personalise this Mr & Mrs Frame with a Couples Surname up to 15 characters and a date up to 20 characters. 'Mr & Mrs' will be fixed text on this item. Surname will be capitalised as standard. Personalise up to 15 characters and a date up to 20 characters.